The restaurant business has always been tough. But today is a different story, particularly in the casual dining sector. Costs are rising, while profit margins continue to shrink. 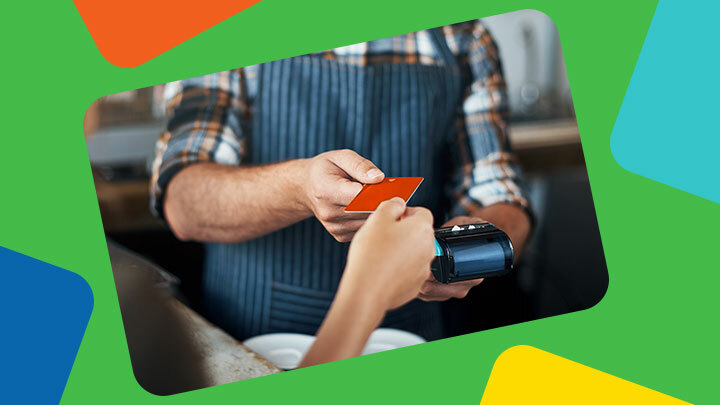 Customers expect more for their money, including higher quality, more choices, and more convenience. They want a greater commitment to sustainability, seasonality and local sourcing. They’re also more demanding of novelty and authenticity (but not at the expense of predictability and consistency). Oh, and competition in casual dining has never been fiercer. A brander’s work is never done. It’s no longer enough just to offer great food. Every day, restaurants need to offer their guests a comprehensively satisfying dining experience. Because if they don’t, others will. We first helped Firebirds update its brand back in 2010, and since then have been a trusted partner in burnishing, freshening and renewing its identity – without compromising the brand’s foundations. 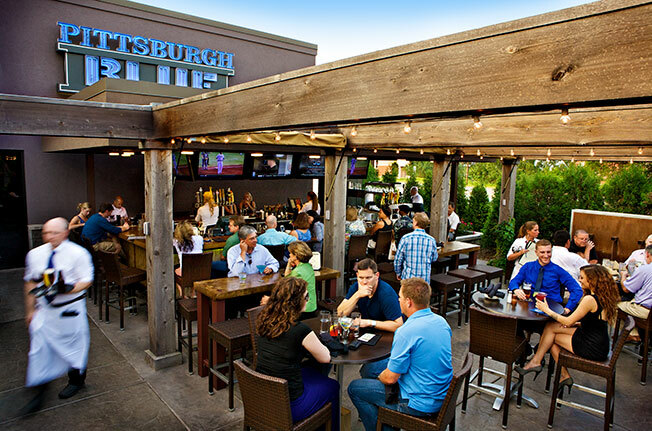 At its heart, Firebirds is a wood fired grill. Fire gives the menu its primal appeal. The restaurants’ ambiance and quality of its hospitality are also rooted in the warmth of fire and humans’ natural inclination to gather around it. Yet fire, too, is a living thing; a dynamic source of energy that gives the restaurant its vitality. 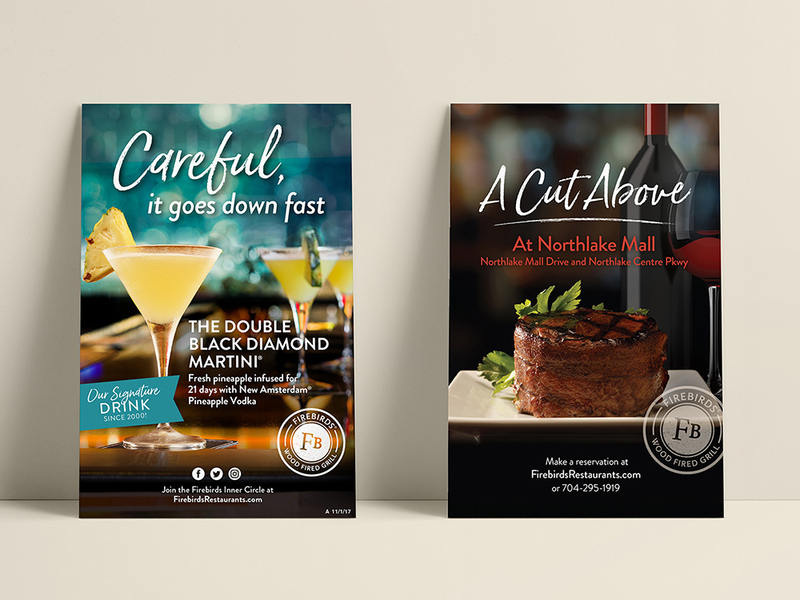 Firebirds’ branding and marketing protects and celebrates these qualities, but also builds on and leverages them to keep the dining experience as fresh and appealing as the food Firebirds serves. Need help managing your brand? We’d love to learn about your challenges and see how we can help. We’ve been thinking about this a lot lately, because we’ve just concluded a brand refresh – our third since 2010. What’s notable about this one, however, is that it coincides with a milestone event: Firebirds’ introduction of its new store prototype in Jacksonville, Florida. 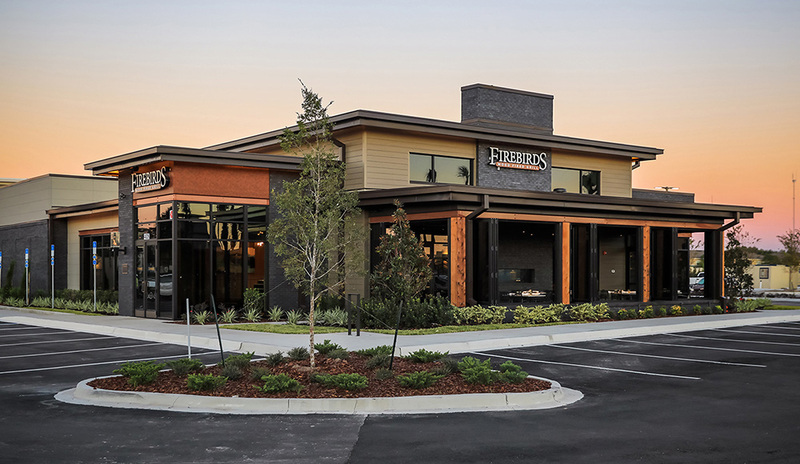 While unmistakably the home of a wood fired grill, Firebirds new store “footprint” has a brighter, more open and social feel that invites guests to come and congregate. The prototype also features a host of environmentally responsible design features, from more energy-efficient lighting to carpets woven from recycled materials such as fishnets. Reflecting the new store design elements, we introduced updated menus, sales flyers, email designs, new restaurant opening materials, and feature cards. 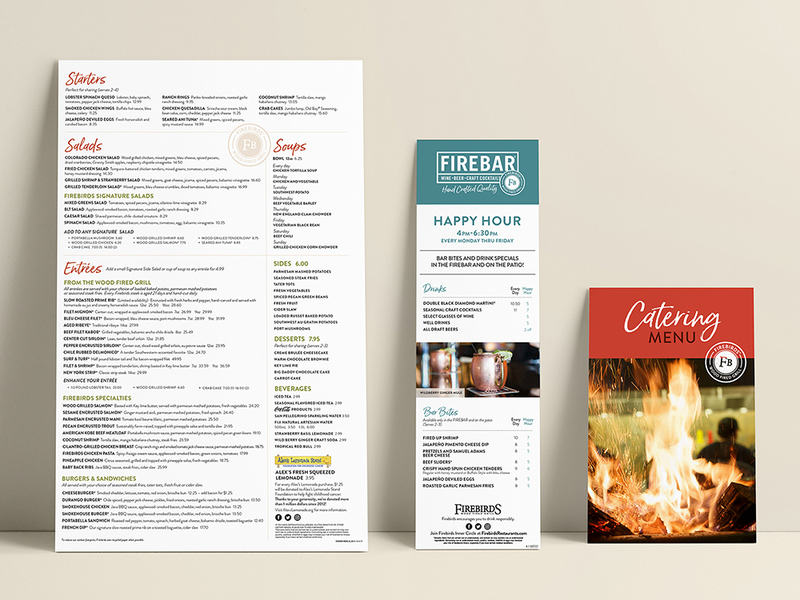 We also captured Firebirds’ origins in a new brand story and documented the new look & feel in an updated brand guide. Typical of Firebirds, no detail was left unexamined. We’re even redesigning the labels for Firebirds house-branded wines. Like the restaurant itself, the new guest-facing materials are cleaner and more contemporary in nature, with an updated color palette, fonts and graphical treatments. Yet the foundational elements remain true to the core brand, working equally well in existing properties. 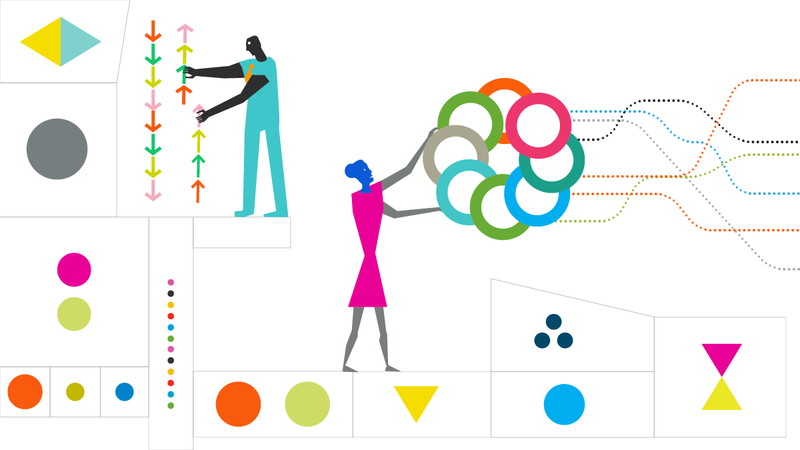 Consider the use of color in our marketing and branding materials. 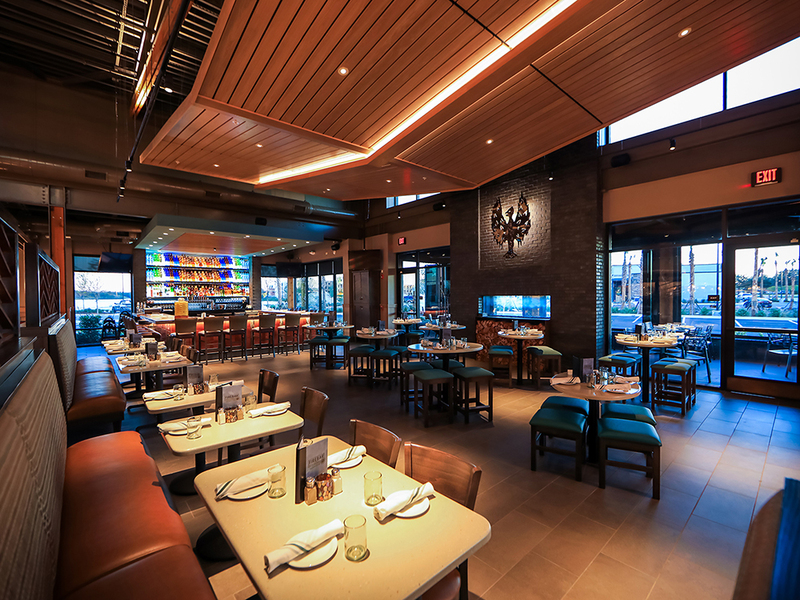 The addition of blues and greens to the palette (along with complementary neutrals) complements Firebirds’ updated interiors as well as its legacy environments. 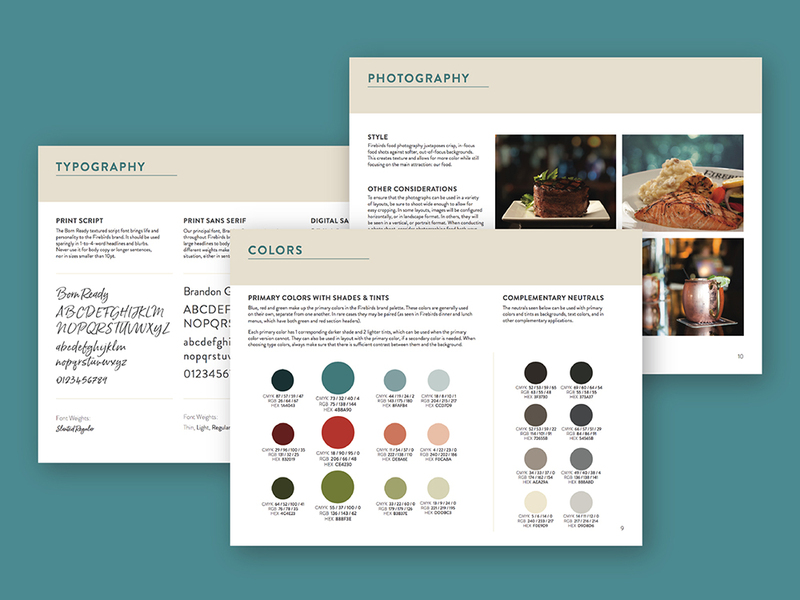 Moreover, color now plays a greater role in accentuating and differentiating menu offerings, which today include more seasonal and locally sourced items as well as seafood choices. 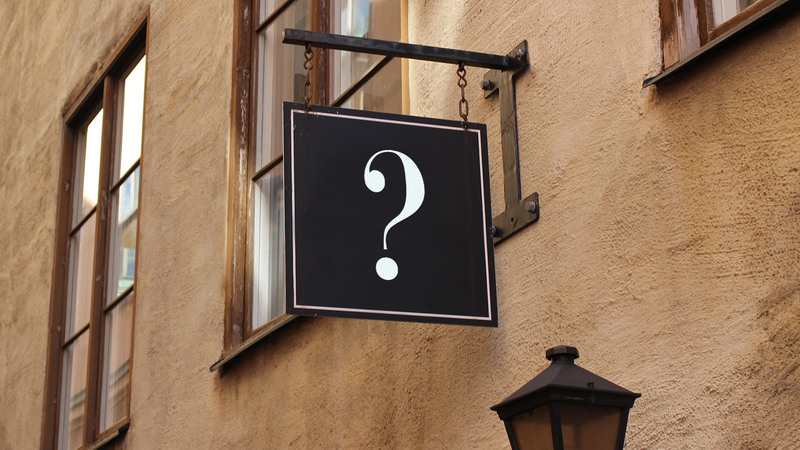 Building a restaurant brand? We have the perfect tool for you. Creating a restaurant brand? Download our tool for building it. The menu layouts have also evolved, both to help guests find their favorite dishes and zero in on new offerings. Verbiage has been updated as well, along with fonts. The goal: to enhance the dining experience, reinforce Firebirds’ attention to detail, and communicate what’s new in a way that even the most change-averse guest can embrace. 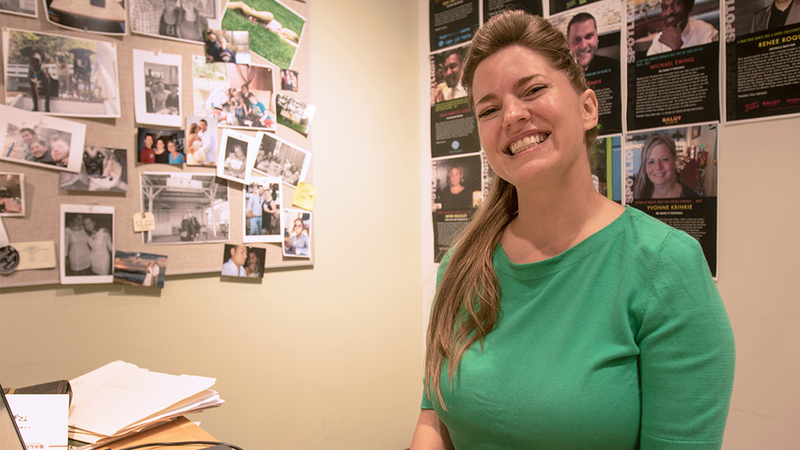 Working with Firebirds has been such a pleasure because of the company’s belief that everything is connected. We marketers talk a lot about reaching consumers at every touchpoint – and Firebirds actually does it.